A quick post to let you know about a cool play festival happening at my favorite theater in Dallas, Kitchen Dog Theater, tonight through Monday. 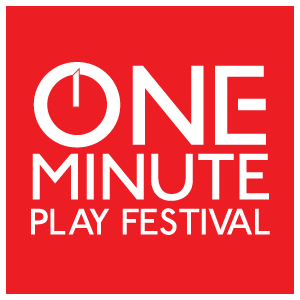 It’s the 1st Dallas One-Minute Play Festival, presented by Kitchen Dog and the national One-Minute Play Festival. Almost 30 playwrights (including me) were commissioned to write two 1-minute plays. That was both easier and harder than it sounds. Our instruction was to write about what’s happening right now–in Texas, the US or the world. The idea is to capture the zeitgeist, one minute at a time. I’m excited to watch the live-stream of the festival tonight on HowlRound to see how the show comes together. If you think you might like to check it out, here’s more information about the festival, and here’s the link to watch the show tonight (Saturday, August 16) Sunday (August 17) at 8PM Central.